Asking for someone's seat on the tube can be embarrassing and awkward. On the flip side of the coin, it's not always easy to spot someone who might need your seat. 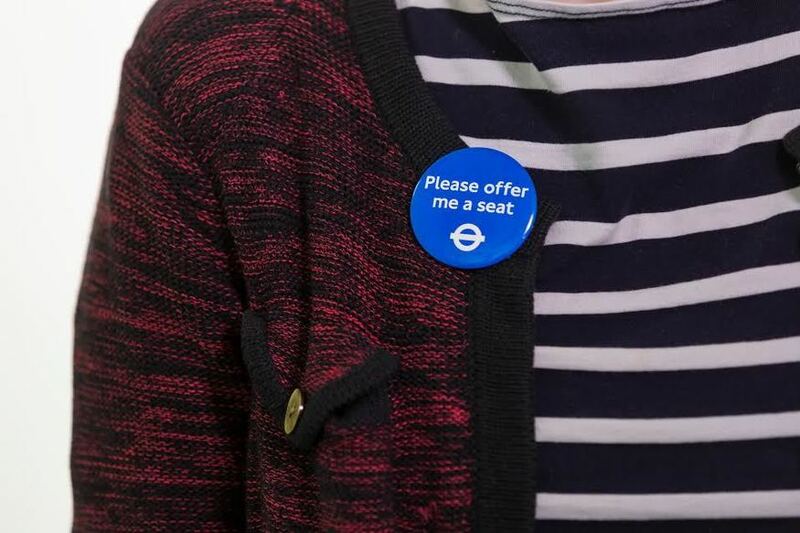 TfL's 'Please Offer Me a Seat' badge aims to tackle the issue. Following a six-week trial, in which 98% of the 1,200 trying out the badge said they'd recommend it, 'Please Offer Me a Seat' will now become a familiar slogan across London's network. Anyone with a condition or illness that's helped by sitting down can apply for a badge for free. In particular, it's thought the badge will help those who have a condition or illness that's not immediately visible to others. The slogan is also available as a card. Val Shawcross, Deputy Mayor for Transport, says: "Many people living with an illness or condition, long or short-term, struggle to stand while using public transport and require a seat. These badges will help them, and I hope that they soon become as iconic as the Baby on Board badges that are widely recognised by Londoners and have been helping pregnant women get a seat for over a decade." You can claim your free badge or card here.